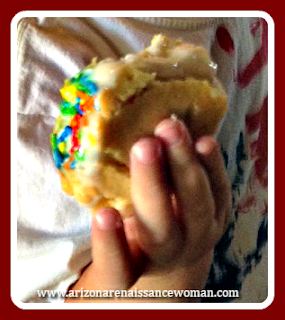 Arizona Renaissance Woman: 51. Ice Cream Tacos with Vanilla Cookie Shells and Sprinkles! 51. 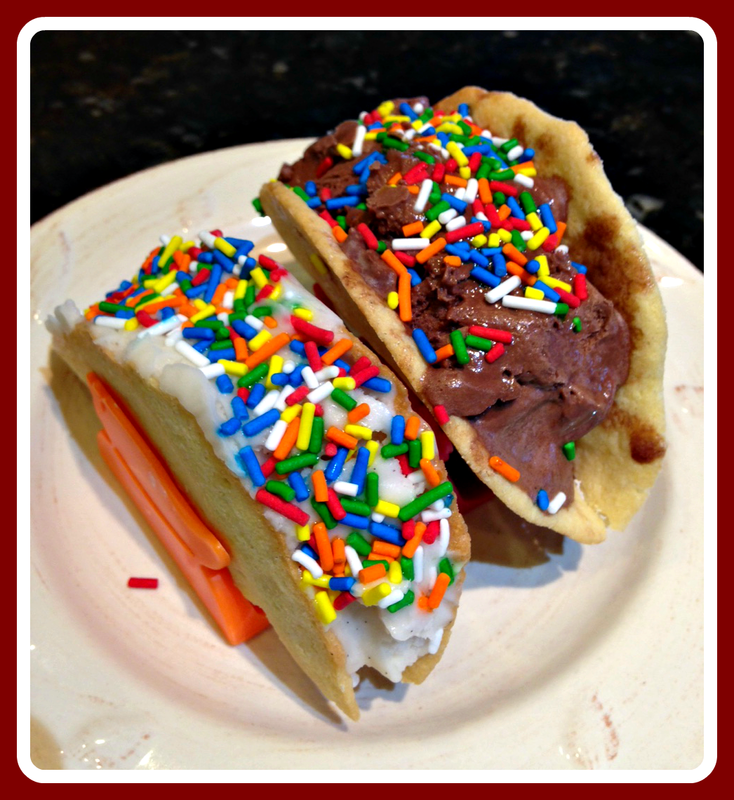 Ice Cream Tacos with Vanilla Cookie Shells and Sprinkles! I made this recipe on one of my days off. I knew that my two of my nephews (along with my sister and my mom) were coming over and I wanted to make something that they would like. It had been a while since I had done a dessert taco, so I thought I'd try something with a cookie shell. I tried a cookie shell in my Pina Colada Cheesecake taco (recipe number seventeen). It worked out all right, but the cookies were rather puffy and didn't leave much room for the filling. I remembered a recipe for crispy vanilla cookies that I used to make when I was a kid. 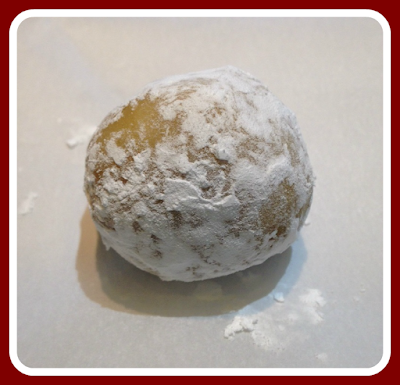 Very simple - just butter, sugar, egg, vanilla, and flour. No baking powder or baking soda. I thought that might help keep the shell flat. I used that recipe as an inspiration this time around! This is a simple one. The shells are a little tricky to assemble, but with a little patience, they're not too bad. Don't worry about minor cracking. Just do the best you can while they're warm and try not to burn your fingers. 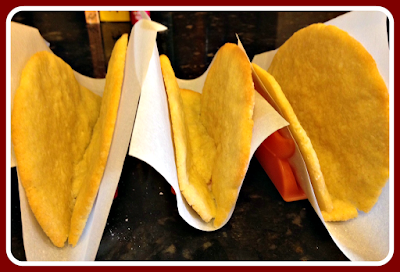 (I may or may not have had some choice words for these taco shells while I was trying to shape them!) It all comes out OK in the freezer. I was lamenting the fact that some of them were not picture perfect and my mom reminded me of something very important. "They're covered with sprinkles. Who cares?" Ha ha. 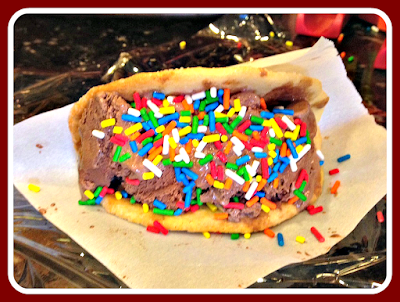 Ice Cream Tacos with Vanilla Cookie Shells and Sprinkles! I suppose I didn't need a separate picture of the BUTTER, but it's really good! 1. Make the dough for the cookie shells: Cream the butter and sugar together in a medium bowl. (I used a handheld mixer at medium speed.) 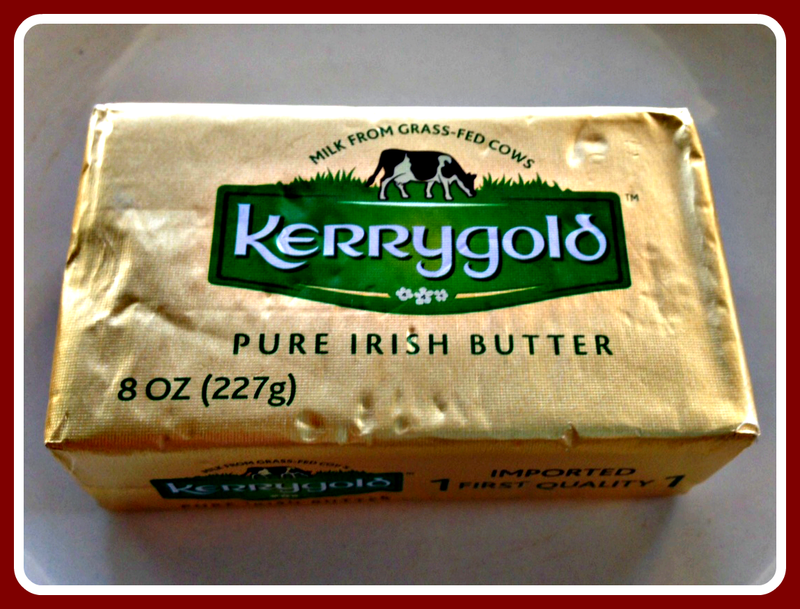 If you're using unsalted butter, add a pinch of salt. 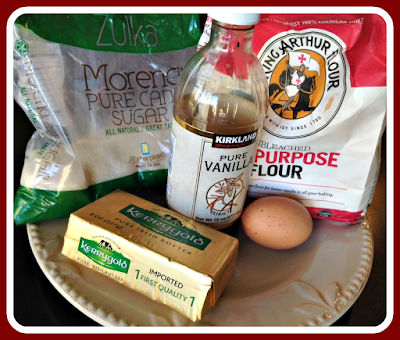 Add the egg and vanilla and mix until well combined. 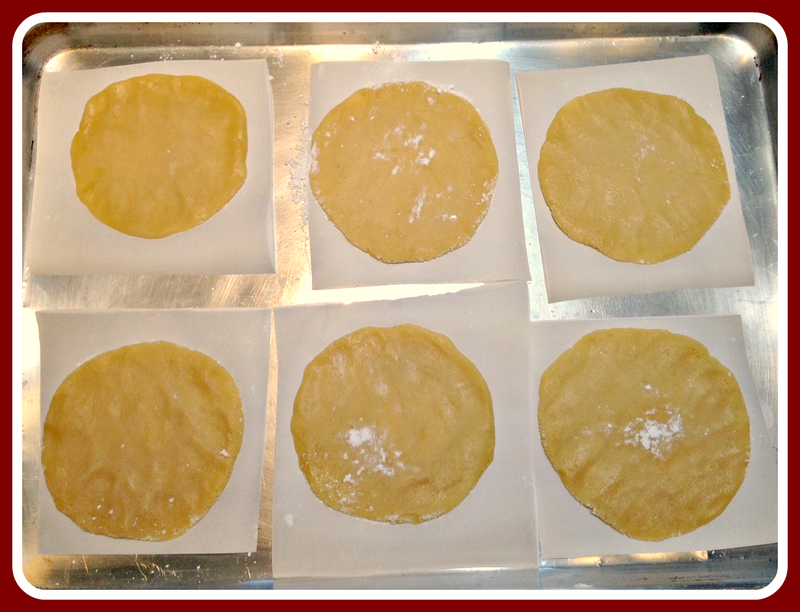 Gradually add the flour, mixing after each addition, until you have a fairly smooth, slightly sticky dough. Turn out onto a sheet of plastic wrap. Shape into a disk (an inch or two thick), wrap in the plastic wrap, and chill for about an hour. 2. Preheat the oven to 350 degrees. Cut about twelve squares of parchment paper, about 4 by 4 inches each. Place 6 of them on a large baking sheet. Set the other 6 aside for the second batch. 3. 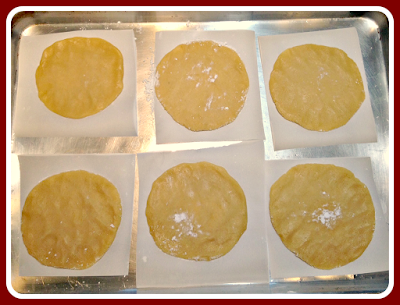 Make the shells: Remove the dough from the refrigerator. Cut the disk in half, wrap one of the halves, and place the wrapped half back in the refrigerator. Cut the other half into six equal pieces. Roll each piece into a ball and roll in powdered sugar. Place each ball of dough on one of the parchment squares and flatten with the bottom of a large drinking glass or something else that's rather large and flat (I used the top of the food pusher for my juicer!) Space the squares evenly on the baking sheet. You can use your fingers to spread them out a bit more and even them up! 4. Place in the oven and bake for about 8 or 9 minutes, or slightly browned and just cooked through. 6. Repeat steps 3 through 5 to make six more shells. Allow to cool completely. 7. Assemble the tacos: Take each shell and, holding it with the parchment paper, carefully scoop in a generous amount of the ice cream. (Since there are no other fillings, fill it up!) 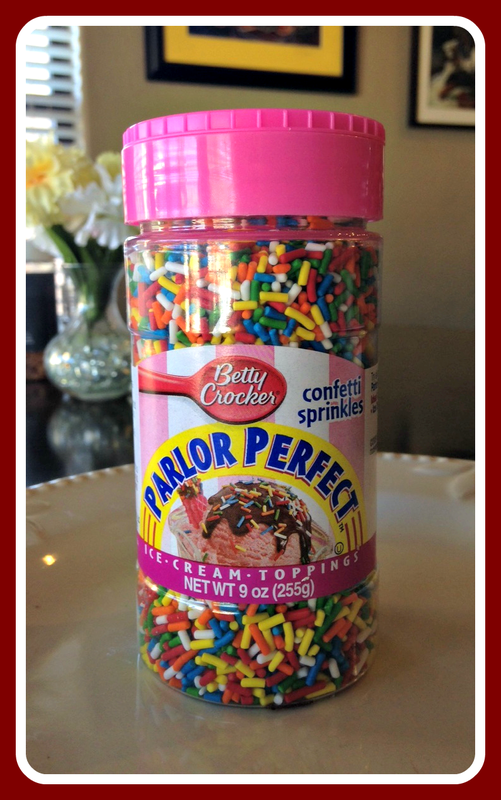 Top with some of the sprinkles and press them into the ice cream. Gently wrap each taco with plastic wrap and place in the freezer. Allow to freeze solid and then place all of the wrapped tacos in a Ziploc freezer bag. Serve when ready and enjoy! How could you not like these? They're very flexible! Use any kind of ice cream! Any kind of topping - mini chocolate chips, nuts, whatever! I made a few of them with dairy-free coconut milk ice cream because my youngest nephew doesn't tolerate milk products very well. Honestly, the coconut milk ice cream was even easier to to work with than the regular ice cream. When I bought it, it was hard as a rock. 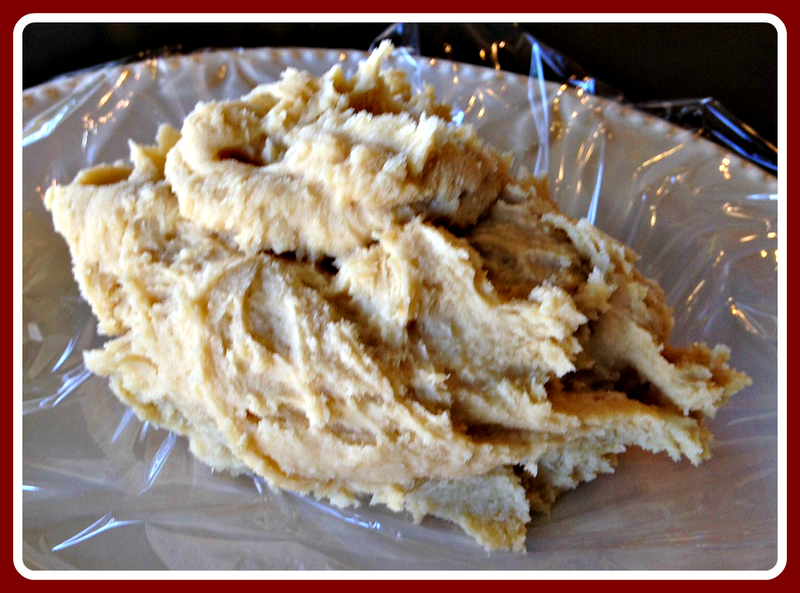 I let it soften in the refrigerator for a couple of hours and found that it was just perfect - pretty easy to mold! 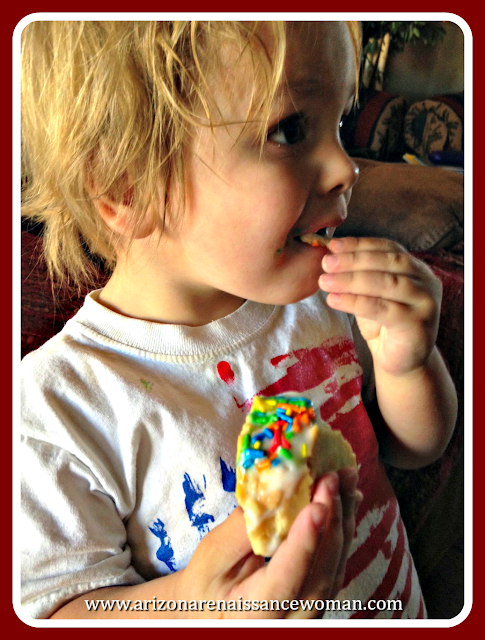 The cookie shells worked wonderfully well for a frozen dessert. They were just a bit crispy on the first day, but they softened a bit on the second and third day. (Yes. Steve and I ate the leftovers for three more days!) They were kind of like glorified ice cream sandwiches. Nothing wrong with that, right? I would recommend one taco per person, but my husband is definitely capable of eating two in one sitting. Use your best judgement! Feel free to comment on this recipe! Did you try them? What did you think? 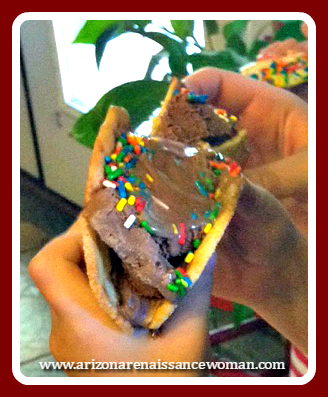 Have you ever tried making dessert tacos before? What should I make next? 54. Bangers and Mash Tacos for St. Patrick's Day!